We are leading manufacturer and supplier Acrylic Crockery.Owing to our extensive years of industry experience and profound market understanding, we are providing a wide range of Hotel Acrylic Crockery. The offered plates are precisely manufactured by our team of professionals possessing years of experience in their concern field. These superior quality products are broadly praised for their perfect finish, attractive designs and durability. Our products are demanded in domestic as well as international markets. We offer these products at industry leading rates within the agreed time frame. 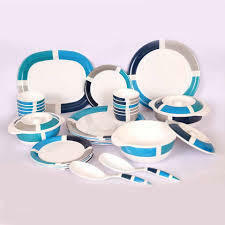 We are the prominent manufacturer and supplier of Acrylic Crockery these are known for their best quality in market. We deliver quality to our client. Our client can avail these acrylic stands at very reasonable price. Our expert designers craft the signage that helps to leave an everlasting impression on your guests. We assure safe and timely delivery of our products. 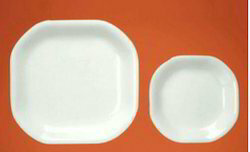 By utilizing skills of our experienced professionals, we are manufacturing and supplying a comprehensive assortment of Acrylic Bhature Plate. Available in various sizes, this unique range is designed by our experts employing pristine-grade basic material and leading-edge technology. Owing to their quality features like alluring design, easily washable and excellent quality, these plates are widely acknowledged by our clients from every nook and corner of the nation. 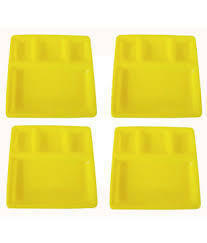 Being a quality-centric company, we are engaged in offering a superior quality Acrylic 7 Combo Thali. 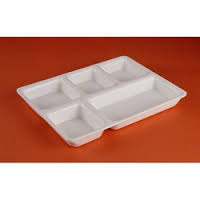 Our offered trays are precisely manufactured at vendors' end by a team of qualified professionals possessing wide knowledge and expertise in their respective domain. In order to meet the diversified need of our clients, the offered products can be obtained in variegated sizes, colors, designs and shapes. In addition to this, our qualitative trays are highly appreciated by our esteemed clients spread across the country. 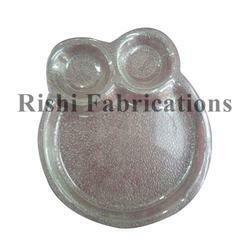 We are one of the leading manufacturers and suppliers of Acrylic Restaurant Thali. The offered Acrylic Restaurant Thali is specially designed and fabricated for serving food in restaurants and hotels. Our supplied acrylic restaurant thali is highly liked and appreciated by the clients, owing to the accurate size and optimal durability. With the utmost utilization of high end technology and innovative machines, we are engaged in offering a comprehensive assortment of Acrylic Thali. The products offered by us are precisely manufactured using high quality raw material and advanced techniques in strictly adhering to set industrial standards. 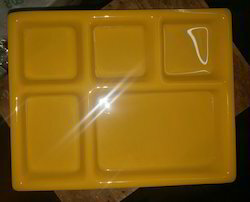 We offer these trays in numerous designs and colors in order to fulfill variegated demands of our valuable clients. 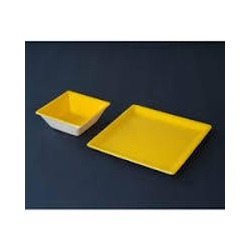 We are one of the well-known manufacturers and suppliers of Acrylic Multipurpose Crockery. The offered acrylic multipurpose crockery is very commonly used in homes, restaurants and hotels. Our supplied Acrylic Multipurpose Crockery is used for serving breakfast, lunch and dinner. The offered Acrylic Multipurpose Crockery is easy to wash.
We are one of the widely acclaimed manufacturers and suppliers of Acrylic Spoons. The offered Acrylic Spoons consist of a small bowl and an attached handle. 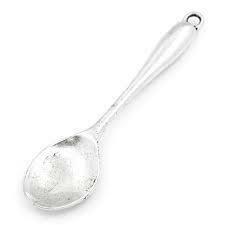 Our supplied Acrylic Spoons are cutlery items which can serve, mix, measure and toss ingredients of food. The offered Acrylic Spoons are highly liked for being resistant to high temperature and heat. Leveraging on our rich experience, we have been able to trade and supply our clients a wide assortment of Restaurant Crockery. Elegantly designed using superior quality raw material by our vendors, this Acrylic Restaurant Crockery is finely finished with latest machines. Offered Acrylic Restaurant Crockery is highly acknowledged by our clients due to its striking look, stunning design, intricate work and fine finish. Our clients can avail this Acrylic Restaurant Crockery in different designs, sizes and patterns at very reasonable rates. 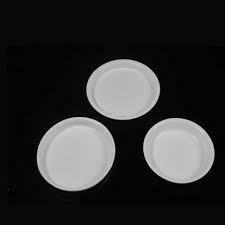 Prominent & Leading Supplier and Manufacturer from New Delhi, we offer Acrylic White Crockery such as Full & Quarter Plate Round, Full and Quarter Plate with Handle, Square Plates, Round Plate, Full & Quarter Plate and many more items. 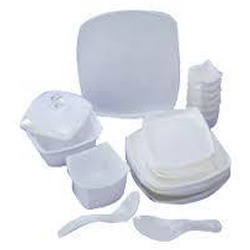 We are the prominent manufacturer and supplier of Acrylic White Crockery these are known for their best quality in market. We deliver quality to our client. Our client can avail these acrylic stands at very reasonable price. Our expert designers craft the signage that helps to leave an everlasting impression on your guests. We assure safe and timely delivery of our products. Trendy available variety of shapes/sizes & colors. Our collection of Mini dosa with chutney Acrylic Crockery item is a high quality, high performance crockery product. These plates are ideal for hotels, restaurant and food corners and offer caterers both style and cost effective performance. We always provide a flawless range of products to our customers. Our products are available in a wide variety of different shapes, sizes and colors. Moreover, we offer customization facilities to our customers as per their needs within the stipulated time period. We have emerged as a leading manufacturer and supplier of Acrylic Full Plate and Bowl.These are offered in various sizes, patterns and colors depending upon the need of the client. We have been applauded for this superior quality product every time we have delivered this to our clients. We apply advanced techniques to designs highly attractive products to various. The product is available at affordable price range. Our entire product range is well-tested on quality parameters before the final delivery. In our wide range of products, we are also offering our clients a supreme grade variety of Acrylic Bhojan Thali For Restaurant. Our vendors manufacture these products using premium quality raw material that is procured from reliable sources of the industry. To ensure quality and durability, our offered Acrylic Bhojan Thali For Restaurant are thoroughly tested by our quality controllers against various quality parameters. In addition to this, our products have gained a huge round of accolades and admiration for their quality and durability. We have launched a new generation range of fine looking and extremely durable Acrylic Dish. These dishes come in various sizes and shapes to meet your needs. The raw material used in these dishes is acrylic. This ensures that the dish does not get stained and never breaks. So, an Acrylic Dish set is a long term investment as it practically never breaks. 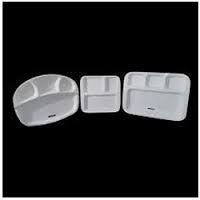 You can choose from the variety of sizes to meet your needs, it can be used to serve all kinds of food. We feel proud to introduce ourselves as the well-known manufacturer and supplier of Acrylic Room Service Crockery. 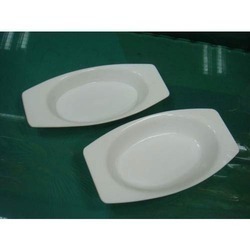 The offered Acrylic Room Service Crockery is very commonly used in hotels and motels. 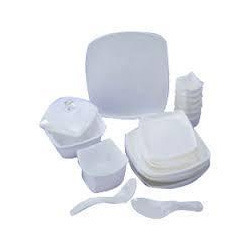 Our supplied Acrylic Room Service Crockery is very durable and hard wearing. 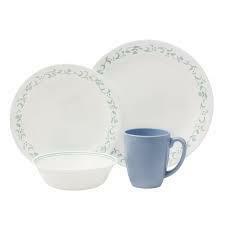 The offered Acrylic Room Service Crockery is available at very affordable rates.